Two highlights of LoC STI today- The first was getting to visit the Geography and Maps Reading Room at the LoC. Mike, one of the room’s librarians, had pulled several really interesting maps for us to look at. 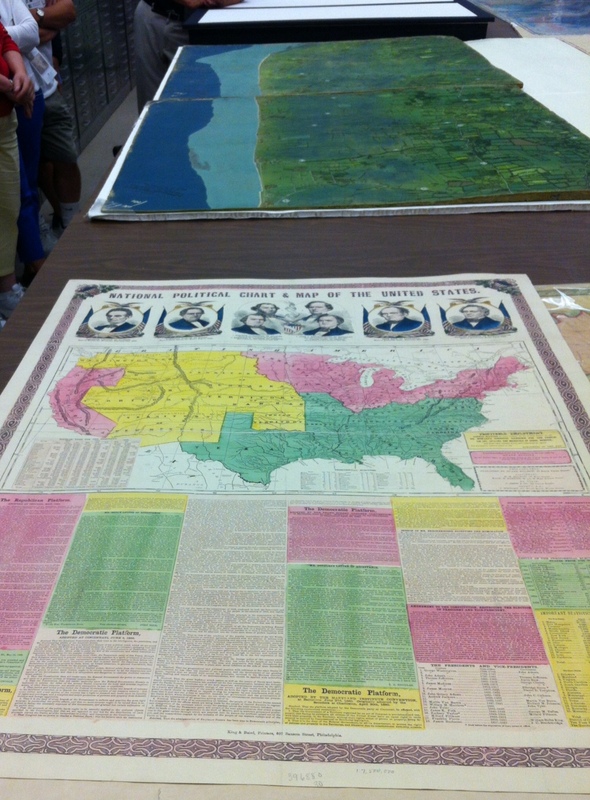 I was excited to get to see an original print of the map of US at the time of the 1860 election that I’ve used in class. We also got to see a map annotated by Meriweather Lewis and one drawn by George Washington. The maps room holds over 5.5 million maps! After the STI was over for the day, I walked over to the Rayburn Office building to meet with a Senior Legislative Assistant to my US Representative David Price. I enjoyed meeting Kate and talking about teacher professional development and federal education issues generally. I also took the opportunity to sing the praise of the LoC and the National Writing Project. 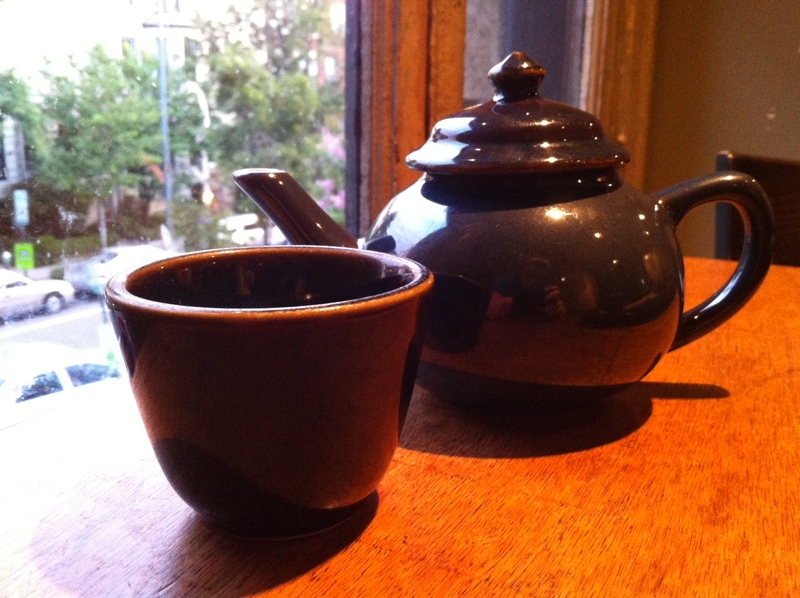 I wrapped up the night with some ginger tea and coconut rice pudding at Teaism, one of my favorite spots in DC. 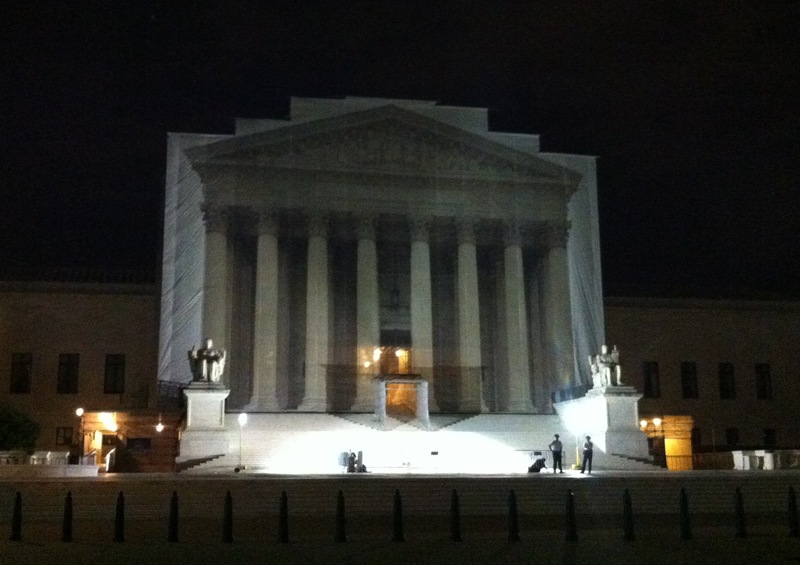 Got off at Union Station on the way back and walked home past the Capitol and Supreme Court building.